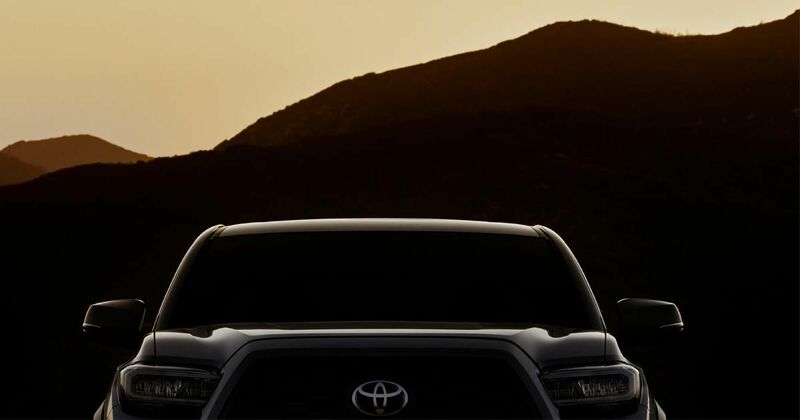 Toyota has released a new teaser image, for the upcoming 2020 Tacoma, which will be officially unveiled at the Chicago Auto Show, this Thursday. While most of the details are cut off due to framing, we can already see that the front fascia has been revised. The headlights feature a new shape and we should see updated LED’s and a highly revamped grilled design. The Tacoma has been largely unchanged over the past few years and a proper update has been long overdue. Toyota has clearly recognized the new competition that is joining the market with Ford’s new Ranger and the Jeep Gladiator. We expect that most of the trucks internals will remain unchanged, though many agree its platform is outdated and its technology is far lacking behind new contenders. Be sure to tune in to the livestream which begins at 10:00 a.m. CST on February 7th 2019. Last edited by Administrator; 02-04-2019 at 10:07 AM.